Homeowners facing foreclosure have many options in today’s market. If you’ve missed mortgage payments and want to learn how to stop a foreclosure, I’d like to help. My goal is to help property owners deal with a difficult situation. My team and I treat each person individually and get personally involved with them. When you’re dealing with your everyday stresses, know that you can trust us to maintain the highest level of confidentiality, discretion, compassion, understanding, and ethics. Take the time to learn how to stop a foreclosure. We want to understand your unique circumstances and apply our vast knowledge of strategies to help you find the right solution. In addition, we pride ourselves on working with you on your timeline and providing regular updates so you can make the best decision. Maybe you want to sell…maybe not…it’s your choice to make. Together we can help you take the next step in your life. If you are considering using any of the options below, be sure to consult your attorney, CPA or financial planner where applicable. The disadvantage of declaring bankruptcy is that the vast majority of homeowners that declare bankruptcy to stop a foreclosure end up getting a bankruptcy AND a foreclosure on their credit. This is because a bankruptcy only DELAYS the foreclosure, and does not prevent it. Also, fees and missed payments pile up during bankruptcy making foreclosure more likely and less preventable. If a homeowner’s financial problems can be mostly resolved by selling their home, a short sale or other options for the seller are much better than a bankruptcy Unfortunately – a bankruptcy attorney will rarely tell clients this! Most homeowners that consult only a bankruptcy attorney when looking for solutions to avoid foreclosure will end up concluding they have only one option – declaring bankruptcy and getting a foreclosure even though both might have been avoided. Bankruptcy is a big decision. Before (or in conjunction with) exploring this option, make sure you talk to a creative real estate investing professional about all of your options! Answer: Generally you consult with a Bankruptcy attorney and complete the paperwork and they file it with the courts. Attorneys charge different fees for this. We have seen this cost around $2,000 for most people (for a fairly simple bankruptcy). Complex bankruptcies may cost more. The advantageof a TRO is that it can be done at the last minute just before the home is actually auctioned off by the lender. In addition, it does not require the homeowner to declare bankruptcy and thus often both a bankruptcy and foreclosure can be avoided. Once the TRO is filed, the auction is stopped or nullified until the lender has the TRO lifted. The disadvantage to filing a TRO is that it costs money and is only a temporary delay. Before (or in conjunction with) exploring this option, make sure you talk to a creative real estate investing professional about all of your options! Answer:Generally you consult with a TRO attorney and complete the paperwork. Attorneys charge different fees for this. We have seen this cost around $2,000 for most people. This is a specialized area of law. Answer:Yes. We’ve covered many options throughout this website. 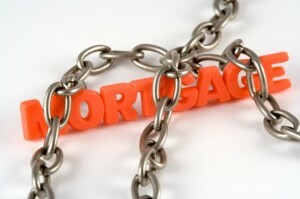 The best way to possibly avoid foreclosure after all else fails is to offer the lender a deed-in-lieu of foreclosure. A deed-in-lieu involves signing your deed over to your lender in exchange for the lender agreeing not to foreclose on the home. Although this sounds ideal for many distressed homeowners, the truth is that lenders typically will not accept a deed in lieu until after you have attempted to sell your home. They want you to try and solve the problem first because they don’t want the house back and don’t want to have to sell the property themselves because REO’s typically sell for less than what short sales sell for. It typically takes as long to do a deed-in-lieu as it does to do a short sale and most lenders would prefer to allow the short sale process to run it’s course. In addition, from a credit standpoint, most credit reporting agencies treat a deed-in-lieu the same way they treat a short sale. So there’s absolutely no difference between a deed-in-lieu and a short sale from both a time needed standpoint and from a credit standpoint. However, if the short sale doesn’t work and foreclosure is the ONLY option, a seller should definitely explore a deed-in-lieu. The advantageto a deed-in-lieu is that it may cause less of a credit impact than a foreclosure. The disadvantage of a deed-in-lieu is that most mainstream lenders will not accept a deed-in-lieu unless a homeowner tries to do a short sale first. In other words, the lenders don’t want to get the home back. They really want the seller to solve the problem. Generally this means they encourage the seller to explore all traditional options (like a short sale), and then only after all else fails, they MAY accept a deed-in-lieu. Or they may at that point decide to simply go ahead and foreclose. Question: Can I just give my home back to the lender? Answer: Probably not. The lenders don’t want to take the homes back as the first alternative. They are in the lending business and not the home buying and selling business. They really want the seller to solve the problem, and generally this means they encourage the seller to explore all traditional options, like a short sale before they will even consider a deed-in-lieu. Then only after all else fails, they MAY accept a deed-in-lieu. Or they may decide to move forward with a foreclosure. Question: Is a Deed-In-Lieu better than a Foreclosure? Answer: Maybe yes, maybe no. It depends on how the lender reports this to the credit bureaus. You can ask the lender how they are going to report it to see how it will affect your credit. However, before the lender even considers a deed-in-lieu of foreclosure, the homeowner will have had to miss multiple payments. So those missed payments alone will have a negative impact on the homeowner’s credit. The best way to keep (not sell) a home when a homeowner has a temporary financial hardship is a forbearance plan. A forbearance plan is an agreement made between a lender and the homeowner where the lender allows the homeowner to miss a couple of payments (or forgives a couple of already missed payments) and then requires the homeowner to make up the payments later – in most cases by making payment-and-a-half payments for several months in a row after the missed payments. The re-payment plan can be structured in several ways. The advantageof pursuing a forbearance plan is that it can avoid foreclosure and keep a homeowner in a home that they really can afford – if they can just be given time to catch up on their payments. The disadvantageto a forbearance plan is that most people are either not eligible for these plans, or those that are, are not able to ever catch up once the payment-and-a-half payments period begin. They just cannot afford the new or continued payments. Forbearance plans, if approved, usually delay foreclosure but often don’t permanently prevent it. The most effective way to stay in (not sell) a home that you want to keep long term may be a loan modification. This involves a lender modifying your payments so that you can afford to keep making them. The modification could include lowering the interest rate so that the payment is lower, or even adjusting the principle balance on the loan. In a typical scenario, a homeowner will hire an expert to negotiate the modification. Please carefully research any company that offers this service for a fee. Usually the homeowner will be told to stop making payments during the negotiation. At this point the lender will tell the homeowner that a modification is being considered. Unfortunately, based on our observations, most of the time the modification is ultimately denied (just before a foreclosure) and the homeowner is not able to make up all of the late payments and significant interest, penalties, and legal fees, and thus the result is a foreclosure. The advantageof a loan modification is that it can make an unaffordable loan affordable. The disadvantage of a loan modification is that, based on our observations, most of the time the homeowner pursues these, they are ultimately not approved, or almost certainly not approved in a way in which it is helpful enough for the homeowner to stay in the home. In other words, most of the time it does not work and the result is foreclosure. We call this the loan modification merry-go-round. The types of modifications that have a higher success rate involve converting an adjustable rate loan to a fixed rate loan or pushing out the interest rate adjustment for a couple of years. The types of modifications that have a lower success rate involve reducing the principal balance on the loan. Because many homes are so far underwater that a workable loan modification are usually not achieved. Loan Modifications rarely work. If you are facing foreclosure or in a home that you cannot afford to keep and want to sell, please CLICK HEREso that we can contact you and give you all of your options for selling your home and avoiding foreclosure. Note: We are home buyers. We do not offer for-fee foreclosure avoidance services such as loan modification services. Please be warned that these services can be very expensive, and based on our observed experience rarely work.